Kombucha tea has been gaining popularity among health freaks. Kombucha is a drink made from tea, sugar and yeast and bacteria. Kombucha is very easy to make at home. With the ever-increasing tea drinkers in the drink, there is no dearth of chefs and food and beverage experts working to innovate and cater to the varied taste buds of patrons. A new drink on the block has been making waves, not just for its unique flavor and taste, but also for its health benefits. 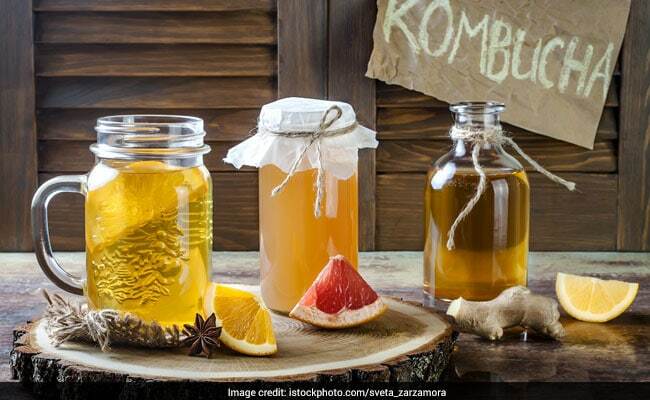 Kombucha is a variety of fermented, lightly effervescent and sweetened black and green tea, that is the new and trendy health drink on the block. The beverage has become popular for its unique combination of sugar, tea and bacteria! Kombucha, also known as tea mushroom, might have started to recently fascinate tea connoisseurs, but it’s certainly not new. The tea variety dates back 2,000 years and was regularly consumed in ancient China. It’s produced by fermenting tea with a symbiotic colony of bacteria or yeast. The bacteria and yeast in question may vary. The tea was well known as an ancient health drink that was consumed to fight inflammatory ailments like arthritis. The tea was even known to combat cancer! The benefits of the tea are still being debated though. One of the reasons for the popularity of kombucha drink is that it’s very easy to make at home. All you need to make kombucha tea is a tea leaves, sugar and an active starter culture of yeast and bacteria. The variety of tea that is fermented is mostly black or green and the starter culture is known as the “mother culture”. The jar with the culture, the tea leaves and sugar sits for a period of roughly 10 days, during which a colony of bacteria forms on top of the culture, leaving behind a pungent liquid. It’s this very liquid that is consumed as kombucha tea. The benefits of the kombucha are widely debated. Although numerous healthy benefits of the kombucha are known, there is little or no scientific evidence backing these claims. Kombucha tea has been touted to cure acne, fatigue, hypertension and constipation.